Imagine this: You’re in a ball game, playing out in left field. An easy fly ball comes your way, and you’re psyched. When that ball lands in your glove your team will win, and you’ll be a hero. But, you’re a little off. The ball grazes your glove and hits dirt. So much for your dreams of glory. Such loss of coordination can be caused by smoking weed. And that’s just one of its many negative short-term effects of smoking weed. 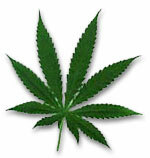 Weed affects memory, judgment, and perception. Under the influence of weed, you could fail to remember things you just learned, watch your grade point average drop, or crash a car. 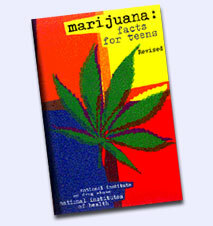 Also, since weed can affect judgment and decision making, using it can cause you to do things you might not do when you are thinking straight—such as risky sexual behavior, which can result in exposure to sexually transmitted diseases, like HIV, the virus that causes AIDS; or getting in a car with someone who’s been drinking or is high on weed. It’s also difficult to know how weed will affect a specific person at any given time, because its effects vary based on individual factors: a person’s genetics, whether they’ve used weed or any other drugs before, how much weed is taken, and its potency. Effects can also be unpredictable when weed is used in combination with other drugs. Many people who smoke weed don’t feel they are doing anything wrong and they should be able to choose what they do and don’t do. However, no matter what you believe about smoking weed there are still consequences for doing so and sorry to say, they are negative ones. This day and age employers are needing to protect their assets and employees and they need to do this by requiring drug testing upon hiring, after accidents and random. People feel this is a violation of their rights but when you consider the liability and profitability of the company they need to look out for everyone. 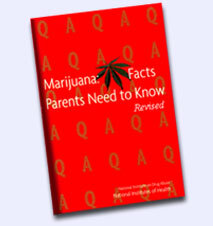 Until weed is legalized which it may be someday, it can cause legal troubles if you are caught using or possessing it. It can affect your driving and driving while under the influence is against the law. It affects your concentration and ability to learn. It also messes with your judgment causing you to make poor decisions. It has a financial impact and the more you smoke the more it costs. It is difficult to get ahead in life when you spend $400 month on supporting your smoking weed habit. Smoking weed can rob you of ambition, meeting goals and developing the career you used to dream of. Your family could also suffer because you are too tired, broke or high to spend quality time with them. If you want to quit you need to really understand the consequences of smoking weed. Get over the denial and examine the things that are keeping you from taking control of your life. Build your arsenal to quit smoking weed by knowing what you are missing out on.